The Human Settlements: Is The Location Right? Waste To Power Energy Plant : A Step Ahead or a Step Back. Is The Location Right? Waste To Power Energy Plant : A Step Ahead or a Step Back. Delhi, the capital of India, a melting pot of cultures with a heterogeneous society has grown and developed at a rapid pace leaving behind many cities in terms of infrastructure, employment opportunities with ever extending urban sprawls on the peripheral areas. With the population increasing both in terms of the number of migrants and the population within, it has increased a lot of pressure on the resources available. The population is also directly proportional to the amount of garbage produced. The advancements in the technology and sciences sector has also resulted into making the garbage produced a more complex one. The rural garbage is quite different and more renewable when compared with that of the urban spaces. On an average, 80% of the total consumption of water is drained out as waste water. With this amount of garbage and waste water being produced, the decision of the Delhi Government was worth and a good step as far as the usage of the resources and inclusive planning is concerned. But the location which was chosen and the long-term affects of the plant on the lives of the residents of the colonies in the close vicinity were ruthlessly ignored by the concerning authorities/departments. It lies barely around 150 metres away from the closest constructed residences. Moreover, the location of the Bird Sanctuary in a radius of around 2-3 kilometres was also out looked. These are the factors which are quite important for the efficient working of the urban ecosystems and the natural system as a whole. This is where the approach of the contemporary urban planners and the governance system is suspected where the most important issues relating the human-nature relationship were ignored substantially. 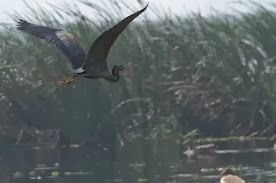 The floodplains of Yamuna has experienced a significant downfall in terms of the number of migratory birds visits and of that of native species leaving the area as well. The various human-interferences ignoring the existence of the Bird Sanctuary in the vicinity has led to these changes misbalancing the urban ecosystems. The controversial Okhla Waste Power Plant came alive in May, 2013.when it started selling power to distribution companies after converting garbage into electricity. On an average, 1,000 tonne of garbage — that usually had to be sent to the already overflowing landfill sites — is now making its way to the plant. The ambitious project of the Delhi government and the unified Municipal Corporation of Delhi had run into rough weather ever since its announcement was made, had foreseen the protests from the residents over the concerns that the fumes released through the chimneys contain poisonous chemicals. The residents are unhappy with the plant and want it to stop functioning. “The kind of smoke that has been emitting from this plant is making our lives hell. It is so dense that our clothes and vehicles are getting covered in ashes,” one of the residents of mentioned. The plant generates smoke and toxic gases. It has a number of affects on the entire urban ecosystem and natural ecosystem as a whole. The reports of the Pollution Board has disapproved the emission of any toxic gases, but the residents protesting holds value in their words. Moreover, other such cases of electricity generation has disturbed human and other species viewing at the examples from the past. Though the step is worthy to maintain the sustainability issues, but if it comes out by worsening the life of the inhabitants, it's particularly senseless and of no-use. 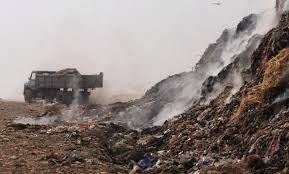 Okhla residents opposing a controversial plant, which converts waste to energy, have also filed an affidavit in an ongoing National Green Tribunal case, claiming that the plant is operating in an eco-sensitive zone. The affidavit claims that the Okhla waste to energy plant, a first in the country started by the Delhi government as an alternative power source, is about 2 km away from the Okhla Bird Sanctuary. The affidavit says since Uttar Pradesh notified the sanctuary and is in the process of declaring a 10-km eco-sensitive radius around the sanctuary, the state should be added as a party in the case. "The government of UP is not aware of the setting up and operation [of the plant]," the affidavit claims, "...and it is the Okhla Bird Sanctuary under the government of UP, which is being adversely affected by emission of pollution." While organising a road show today (05-01-2013), members of the Residents Welfare Association raised there voice on the issue. 'There have been 27 non-hearings in the court till now" - a member mentioned. "Sheila Dikshit (former chief minister of Dehi) has gone, AAP(Aam Aadmi Pary) has come into power. We urge from AAP and BJP to look into the matter as soon a possible" - another member quoted. These are the matters of the governance system and authorities related to it. It is the sole duty of these authorities and government system to provide a healthy living to the inhabitants. While designing such proposals, a long-term approach (Forward Planning) and factors such as the above situation existed with, should be properly looked in and studied before the implementation process. Planners and authorities can't ignore the living values of the human and values of nature for whom they does the various urban planning exercises. The efficient working of any urban space lies within the relationship that human beings and nature holds together. Though its up to the concerning authorities, municipal bodies and the government to look into the matter with their own defined time, but its a serious matter of interest for the same as not only the lives of human beings are at stake, but its also deteriorating the ecosystem of which we all are part of. The process of urbanization is at a rapid pace than ever before which leaves the human race with less time to think, research and make necessary and appropriate shifts towards the contemporary urban planning approach. The scenario in terms of technology and advancements is changing every moment and thus a change in the approach generally followed by the urban planners is required to help save the existing urban spaces by reviving them sustainably, as per human living values and human-nature relationship and also to help save the process of urbanization which is yet to be done in the developing countries. Cities have evolved into a more complex space inter-linked by a number of natural systems, disciplines of humanities, social sciences, economics, politics, anthropometrics, environmental science etc., and thus the development and growth of them has also changed significantly. Planners generally have failed to read The Urban Progression and thus the cities have failed significantly in terms of the ‘Quality of Life’ they provides in to their inhabitants. I thought of writing this blog as soon as I returned home from watching the protest outside by the members of the Resident Welfare Association and others. The National Capital is on the path of urbanization with rapid pace and thus the developmental schemes which are proposed and the implementation process should all be made participatory with 'The Feed-Back Planning' aspect. It has proved beneficial earlier in many other cities across the globe. I have been looking into the planning successes and failures of different cities especially Delhi for quite some time now and will be back with more such topics/issues which needs a mention in our journey of calculating The Urban Progression. The next blog will be about the developments and policies which were implemented in the Second City of United Sates of America i.e. Chicago. The facts and history behind the formation and growth of the city of Chicago has been very interesting and important to study for carrying out a change in the approach followed in the field of urban planning. Till Than Have Fun and Enjoy The Life ! !